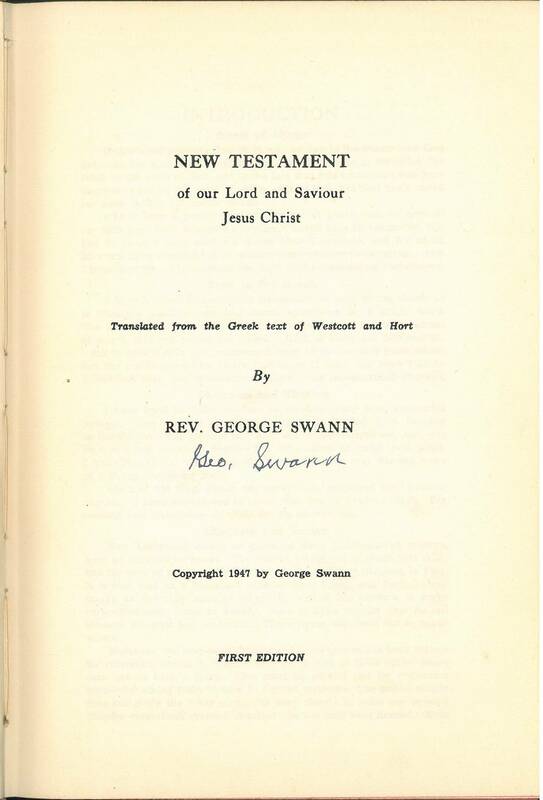 Click here for sample verses from the version by George Swann. 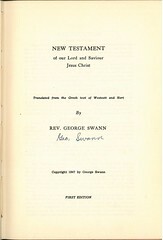 George Swann's New Tesament is described in an article in the Pittsburgh Press dated July 19, 1947. 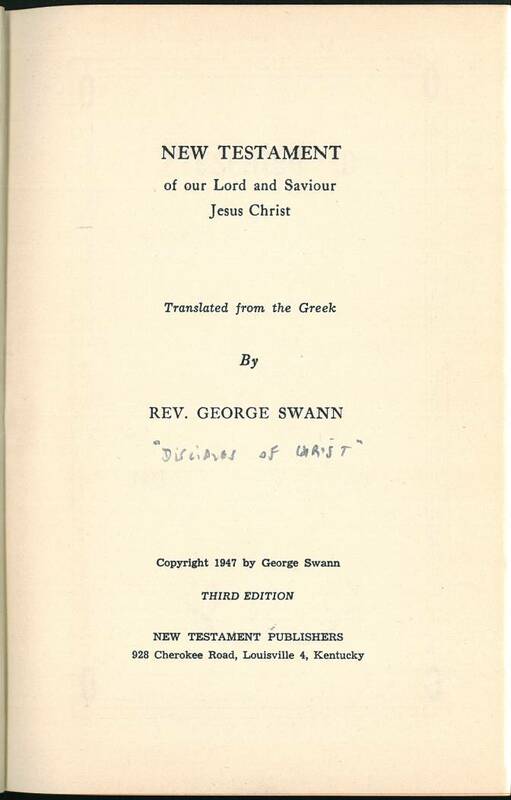 References: Chamberlin 581-1, Hills 2464, Herbert 2291, Taliaferro-BVE CN00306, Taliaferro-EELBV 7890.100. 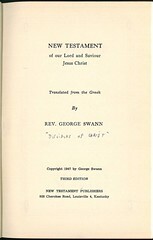 References: Chamberlin 581-1, Hills 2464, Herbert 2291, Taliaferro-BVE CN00306, Taliaferro-EELBV 7890.120.